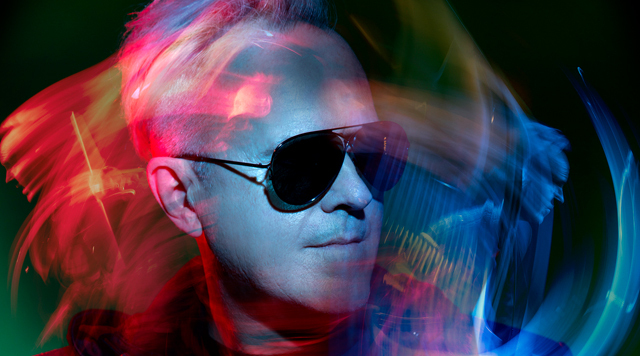 HOWARD JONES: Howard Jones’ career has always been about the big picture. The singer, songwriter and keyboardist’s songs explore universal themes including enlightenment, transcendence, and seeing past one’s struggles in order to embrace the wider horizon beyond it. He’s sold millions of albums and had 15 top-40 global singles. And while his music often overflows with addictive pop hooks, soaring vocals and creative arrangements, when you dig deeper, you’ll find those larger perspectives embedded within. Jones remains a household name for anyone who grew up in the ‘80s and ‘90s. Global hits including “Things Can Only Get Better,” “No One is to Blame,” “What is Love?” and “New Song” are permanent parts of the pop culture tapestry of the era. Major movies and television shows including Breaking Bad, Bumblebee, GLOW, Eddie the Eagle, Halt and Catch Fire, and Everybody Hates Chris have featured them in recent times. His 1984 debut album Human’s Lib and the 1985 follow-up Dream into Action continue to transcend generations, with 2018 superdeluxe reissues on Cherry Red Records selling out based on pre-orders alone. Special Guest MEN WITHOUT HATS: They told the world “You can dance if you want to” 30 years ago – and we did. A few years later they instructed that same planet – the third – to go Pop – and we did. It’s no surprise that this band has topped charts across the planet and even picked up a 1983 Grammy nomination for Best group (Culture Club won it). Men Without Hats have been providing a hit-filled and hooky soundtrack for our lives since the 80s and the band powers magnificently into the 21st Century with a steady stream of jaw dropping live shows and a fantastic new album.